Yesterday Michael Fischer differentiated between providers of capital and users of capital. Today he explains the two ways in which these groups interact: through the exchange of debt and the exchange of equity. When a provider of capital loans money to a user of capital, it's a debt transaction. When he owns a portion of the user of capital, it's an equity transaction. In debt relationships, the user of capital provides a fixed return to the provider of capital. If you buy a government bond (effectively giving the government a loan), it pays you a fixed amount of money. Likewise, when you incur credit card debt, you pay the bank a fixed percentage. Individual investors commonly lend money to large users of capital — such as governments and corporations — by purchasing bonds. When an investor buys a bond, he is basically loaning money to the entity that issued the bond. But in equity relationships the return is not fixed. Because the provider of capital in this case actually owns a part of the user of capital, the returns are based on how effectively the user is able to generate profit. When we buy individual stocks (or mutual funds), we are buying ownership interest in large corporations. We have a tiny portion of equity of specific users of capital. As these companies earn profits (we hope), we receive returns in the form of dividends or increased share prices. Michael will cover the specifics of stocks and bonds later in this series. Must be repaid or refinanced. Can usually be kept permanently. Requires regular interest payments. Company must generate cash flow to pay. No payment requirements. May receive dividends, but only out of retained earnings. Collateral assets must usually be available. No collateral required. Debt providers are conservative. They cannot share any upside or profits. Therefore, they want to eliminate all possible loss or downside risks. Equity providers are aggressive. They can accept downside risks because they fully share the upside as well. Interest payments are tax deductible. Dividend payments are not tax deductible. Debt has little or no impact on control of the company. Equity requires shared control of the company and may impose restrictions. Debt allows leverage of company profits. Shareholders share the company profits. Similar explanations of the difference between debt and equity can be found here and here. 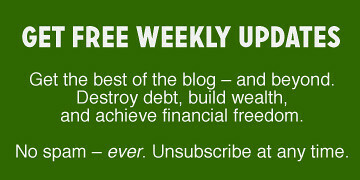 There are 1 reader responses to "Saving and Investing: The Difference Between Debt and Equity". These are good lectures. What I think would be a useful addition to them is a piece that addresses cyclical behavior in financial markets. The market price of risk tends to vary considerably over different time periods. And this tendency hasn’t really diminished with the passing of time, where scholars and finance experts would tend to learn more about the cause, and be able to implement policy (or arbitrage) that reduces such fluctuation. Another interesting topic would be growth economics and technology. The Adam Smith school developed before switching costs and network externalities (having everyone use the same convention for a telephone, computer system, or keyboard) became influential in global economics. For example, in the case of an AIDS vaccine, we’d ideally like an infinite amount of investment in discovery, followed by free distribution of the product. Financial markets can’t really deal with that.